Tesla’s former rival in pioneering electric cars, Henrik Fisker, has re-entered the electric car market with two new models. Mr Fisker’s previous company, Fisker Automotive, founded in 2007, built luxury cars popular with celebrities until its high profile 2013 bankruptcy. Reviving his rivalry with Tesla, Mr Fisker promised “a significantly longer battery life and range than any battery currently on the market”. “Both the technology and the market are more mature now than when we first started out as pioneers in the electric vehicle industry, and our new vehicle will be the most innovative and cutting-edge electric car ever created,” he said. 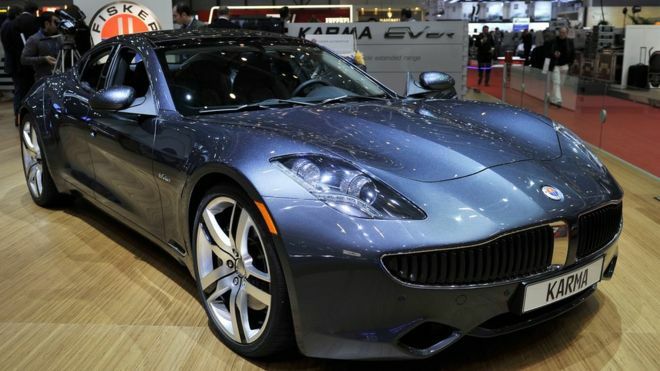 But after selling around 2, 000 vehicles, Mr Fisker left the company and it filed for bankruptcy protection in 2013 owing US taxpayers $139m (£109m). It later saw its assets sold to Chinese company Wanxiang.